European supplement marketers now have a new opportunity to develop new krill oil products with EU authorised health claims. At Vitafoods, Norwegian company RIMFROST launched its ultra-high krill oil extract with high levels of omega-3, phospholipids, choline and astaxanthin to the European market. 'Krill is much more than an omega-3 ingredient. It is a nature-made multinutrient formulation. At RIMFROST, we are innovating to provide the full spectrum of krill’s benefits for our customers and consumers. As a result, we are the first and only provider of ultra-high omega-3 phospholipid, choline and astaxanthin product extracted from Antarctic krill, which enables authorised EU health claims in convenient dosages. 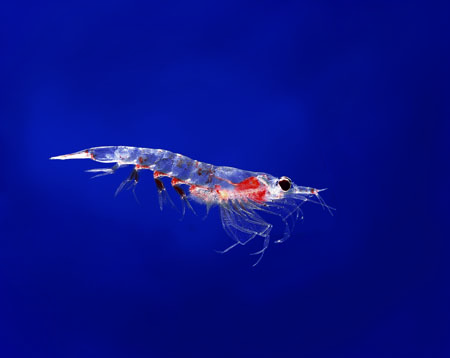 There has been one quality of krill oil on the global market so far. Now we are moving this to the next level with the new ultra-high Krill Oil product,' says RIMFROST Executive Vice President Ole Arne Eiksund. With the impressive level of 60% phospholipid concentration and 250mg/g EPA/DHA, RIMFROST has been able to naturally extract the key nutrients, with no added extras. EPA/DHA are the prominent fatty acids found in the extract, but it also contains significant levels of phospholipids, choline and astaxanthin. One of the most tangible benefits of a high phospholipid concentration is that it increases choline and omega-3 content substantially, enabling conveniently dosed applications with authorised EU health claims. We still think a small dosage with high effect is what makes krill oil unique and appreciated by the European consumer. The product is also superior when it comes to natural levels of astaxanthin, which is a very potent antioxidant. 'We had a fantastic response on the RIMFROST ultra-high krill oil at Vitafoods and we believe that this innovation will bring new interest in the krill market. As being MSC and Friend of the Sea certified, we offer our customers a sustainability certification on their products. Sustainability is important for the European consumers,' Eiksund concludes.